Former captain Sourav Ganguly has offered two extreme choices to end India’s quest for the perfect number four batsman at this year’s World Cup, suggesting they choose between a dour Cheteshwar Pujara and a daredevil Rishabh Pant for the role. India continue to fret over the crucial batting slot after a series of candidates fluffed their auditions ahead of the World Cup in England and Wales. Their last ODI series before the showpiece event did not suggest any remedy either, with Ambati Rayudu scoring 13, 18 and two in the first three matches against Australia while Pant scored 16 in the fifth. Ganguly caused quite a consternation by suggesting the name of test specialist Pujara who played the last of his five ODIs in 2014. “I suggest Pujara’s name because he’s in great form. We’ve seen how well he did in Australia,” Ganguly said of the 31-year-old architect of India’s first-ever test series victory in Australia earlier this year. Ganguly pointed out how Rahul Dravid, someone Pujara is often likened to for their similar batting approach, became part of India’s ODI squad despite not being a power-hitter. “I’ve seen Rahul Dravid playing World Cup and excelling at number four and five. We used to assign him a role. So I suggest, if you don’t have a ready number four batsman, you can consider Pujara,” Ganguly told reporters on Tuesday. In case it’s too radical a choice, Ganguly also suggested the name of Pant, more a plunderer than an accumulator of runs. The 21-year-old, who has built a growing six-hitting reputation, impressed in the test series in England and Australia and is expected to be India’s second choice wicketkeeper behind Mahendra Singh Dhoni at the World Cup. 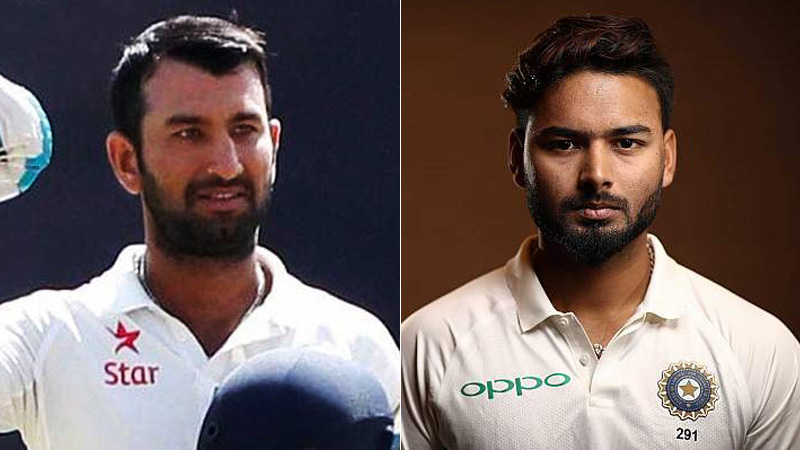 As Delhi Capitals head coach, Ricky Ponting has had a good look at Pant and the former Australia captain agreed with Ganguly’s assessment of the player. “If I were an Indian selector, I’d be picking him in the World Cup squad and I’d play him as a batter,” Ponting said. “I’d play him at number four in the Indian team. He’s that sort of guy with that sort of talent who can win you World Cup. He’s just got that X-factor…” India begin their quest for a third 50-over World Cup title against South Africa at Southampton on June 5.